Flow cytometry testing: Isabelle Labonté, Ph.D. Virus production and development: Nizar Chetoui, Ph.D and Marc Boisvert, Ph.D. In vivo testing: Anne Sébilo, M.Sc. Molecular Biology: Anne Lorrain B.Sc. and Hugo Orosz B.Sc. The Viral Vector Facility will serve in the production of vectors for in vivo transduction of the probes developed by the Optogenetic Protein Engineering Facility. The personel of the Neurophotonics Centre's Molecular Tools Platform will participate in the large scale production, distribution and testing of the new tools being developed. 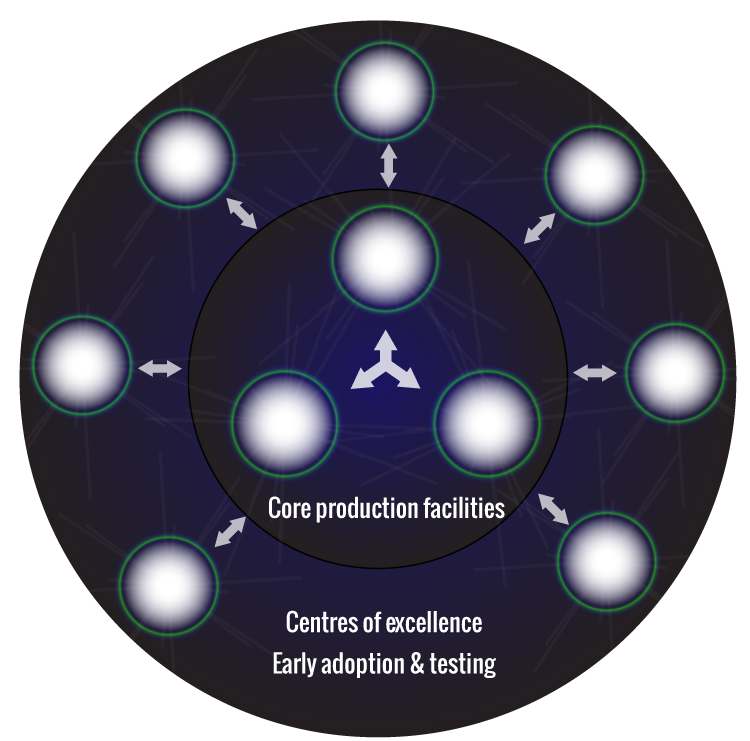 A rapid feedback to the Protein Engineering Facility, facilitated by the distribution of tools to members of the testing nodes through the Viral Vector Facility, will facilitate optimisation of the tools. The development of custom tools, specifically designed to meet the experimenter's needs, is one of the Viral Vector Facility's strength.